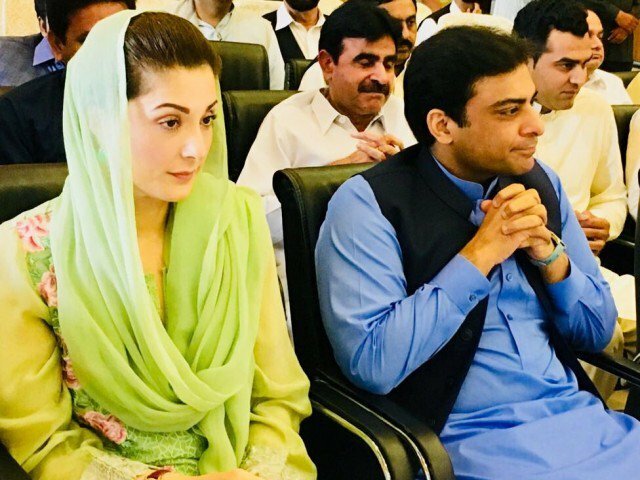 Maryam Nawaz and Hamza Shahbaz will start and lead the protest campaigns and also take care of the party affairs if Nawaz Sharif and Shahbaz Sharif convicted by the court. The former Prime Minister Nawaz Sharif met Shahbaz Sharif at the Parliament House and discussed in detail a strategy in case convicted by the Accountability Court. They also made important decisions in the meeting. The Organising Committee of the Pakistan Muslim League (N) held a conference presided over by Nawaz Sharif and Shahbaz Sharif. It was decided in the meeting that if convicted in Al Azizia and Flagship references, protest campaigns and people’s contact movements would be launched. Maryam Nawaz and Hamza Shahbaz will start and lead the campaigns and also take care of the party affairs. On the other hand, if Nawaz Sharif is not convicted by the Accountability Court, he will address Youm-e-Taasis. Party leadership and members also decided in the meeting to give a tough time to the government. Shahbaz Sharif is also on judicial remand in Kot Lakhpat jail, however, he is moving around on the production order by the court.